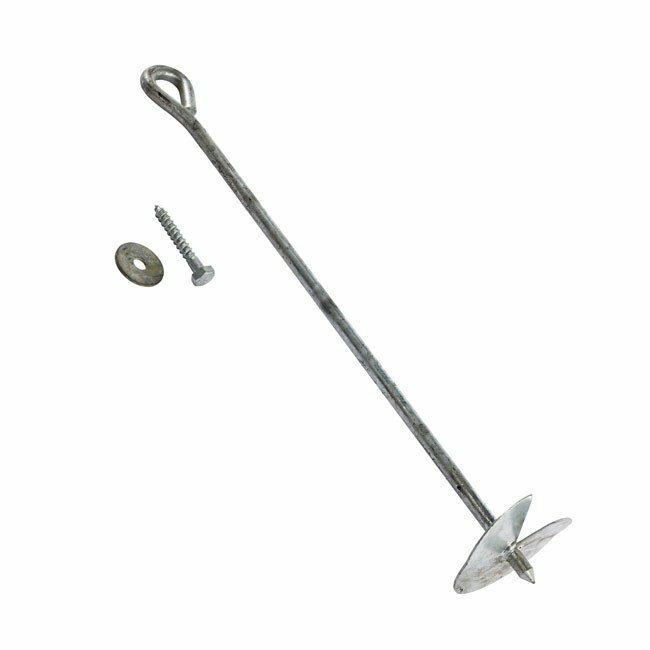 A hot dipped galvanised steel ground anchor suitable for securing timber posts to the ground. A hot dipped galvanized ground anchor screw with a length of 520mm manufactured from 12mm steel bar complete with a M10 x 70mm coachscrew. Our ground anchor is perfect for securing play towers and swings to the ground.